Missoula residents will see some smoke rising Wednesday from prescribed burns on national forests on either side of the valley. The Missoula Ranger District plans to ignite prescribed burns on 80 acres in Butler Creek and another 80 acres on Blue Mountain. Weather, fuel and air quality conditions will have to cooperate for the burns to actually happen, the Forest Service’s Boyd Hartwig said Tuesday. But the burns are needed to reduce the fire danger, regenerate ponderosa pine forests and rejuvenate smaller vegetation on the forest floor that provides wildlife habitat. The 80 acres in Butler Creek are adjacent to Snowbowl Road. Firefighters and land managers hope to run a low-intensity underburn across 65-90 percent of the area. The intent is to reduce fuel loads on the ground by top-killing up to 75 percent of the shrubs. Smoke from the Butler Creek fires will be visible from Interstate 90, Highway 93 and most of the Missoula Valley. 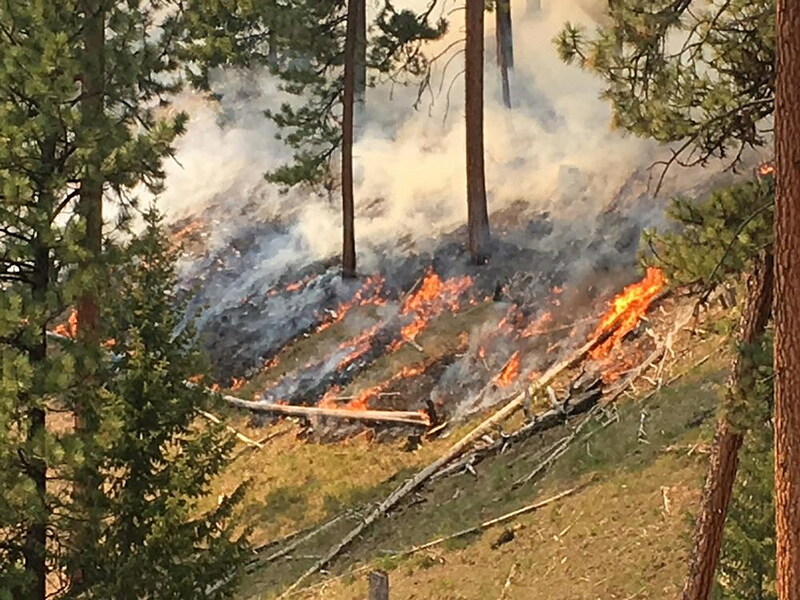 The second burn area is located west of Missoula within the Blue Mountain Recreation Area. This is also an understory fire and will be visible across the valley. The Forest Service wants recreationists to be aware of fire crews and vehicles in both areas. Roads and trails could be used as fire control lines temporarily. Signs will be posted at nearby trailheads. Visitors are asked to avoid the burn areas and slopes near the burn areas.